Mica Scott was raised on a ranch in Northeast Texas. Life was hard, but not impossible…until she met her own personal nightmare one night at a rodeo. She escaped his abuse by putting things behind her, isolating herself by moving to Chicago for college and work. Not long ago I asked folks to send me questions about the books and characters. Nearly all of the questions would have resulted in terrible spoilers for anyone not having read the books, and I responded to most of those privately. I did, however, keep a small cache of questions which I felt needed answers, because they are the most frequently asked. I’ll clearly identify them as SPOILERS, and allow people to read at their own risk. Why did Mason and Mica hookup on their way home from Texas? She was already with Daniel, why would she cheat on him like that? Looking at the character dynamics in the book Mica, both Mason and Daniel had difficulty within their relationships with her. Mason had wanted and been obsessed with her since first laying eyes on Mica. That developed into a deep love and affection as he learned her story and came to know her. He worked hard to break down the walls she hid behind, getting to know the private woman well. In many ways he supported her, both emotionally with his friendship and more tangibly behind the scenes as he organized security for her, or schemed to find her business additional customers to ensure she had every reason to stay. He needed her happy and satisfied, and her wellbeing mattered more to him than almost anything. Daniel was immediately intrigued with Mica, but he’s much more wary than Mason. He grew to love her over time, transitioning from wanting to make sure she was safe to wanting her in his life always. 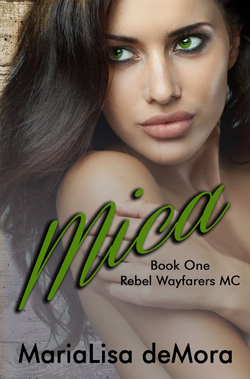 He too supported Mica, and while his connection might have seemed more physical and overtly emotional than Mason’s, the attraction they both felt for her was strong. On a night when she was emotionally vulnerable, she and Mason shared an intensely passionate sexual experience. He was there for her, building her back up, making her whole. Yes, it was after she’d met Daniel, but it happened before they became close. After they became a couple, we know her behavior was above reproach. As the story advances, in the face of her ex-boyfriend’s machinations she is then torn on how to hold onto any of her friendships and struggling to keep her friends safe. Even after she ended things with him, Daniel traveled to Texas to see Mica because he couldn’t stay away. Due to that unquestionable pull, he was present when the ex-boyfriend made his final play. Daniel had a part in saving her, again, and there was potential for them to patch it up right then, but his fears won out. This time he was the one who walked away, rejecting her and leaving Mica standing alone. Later, back in Chicago, Mason approached him before traveling back down to Texas, intending to bring her home if he could. During that conversation, Daniel indicated to him that the relationship was over. Now, as readers, we know differently, but to both Mica and Mason it appeared that Daniel had called it quits, hung up his skates. With the background information available to them (they can’t read his mind like we can), was this encounter really ‘cheating’ in even the most relaxed sense of the word? Maybe, because Mica did still love Daniel. Also, in Jase, we’ll find out that Mason specifically asked Slate to invite Daniel to Mica’s party. But at this point in time, the two characters in question don’t have any reason to believe his feelings have changed or that he is reconsidering their breakup. Maybe Mason invited him because he wanted to hold onto his friendship with Daniel. Hmmmm. Fortunately for Daniel, fate conspires to remind Mason of why he had distanced himself from Mica in the first place, because club business comes a-calling. So, Mason not-so-graciously steps aside, perhaps exposing more than he intended to Mica during their kitchen conversation and giving her space to make a choice that will set the course for their three lives going forward. So, was it cheating? I don’t think so, I certainly didn’t write it as an illicit affair, but as a coming together in need. No harm, no foul. Does Mason find his always? That’s another question frequently asked, but will not be answered here. We’ve a ways to go before we get to his story. Let a woman keep some of her mysteries, will ya? Mica sat on her back porch watching the squirrels chasing each other up and down the many trees available for their aerobatic antics. In her favorite jeans and thermal shirt, she had her feet propped up on the fire pit. A modest fire kept the chill of the late spring evening away, and her ebook reader would let her read past sundown. Picking up her tumbler of clear liquid, she gauged the amount of tequila she’d had to drink so far, and thought it might not be quite enough yet. Grinning at herself, she sipped and picked up her reader, flipping pages with her thumb until she was back at the beginning of the current chapter. She hated starting in the middle of things, and if it meant she had to re-read a few pages, it was worth it for the story’s continuity. Michael was sitting in the house watching TV; he’d been staying in almost all the time since he came to stay with her several months ago. She occasionally got him out to Jackson’s, but he really was trying for peace in his head, and drinking fuzzied that peace. Shifting her legs, she rolled her head against the back of the chair, thinking back to bringing him here from the airport. Mason had been so good to her and helpful that day. She grinned as she remembered Michael’s mistake, thinking Mason was her boyfriend. The look on Mason’s face was priceless, and she’d quickly stepped into the gap to explain they were just neighbors. It had been interesting getting to know her twin again; they’d been apart for so long. Even before they weren’t able see each other physically, they’d been emotionally apart forever. Michael was thrilled she’d gone on and graduated college, and she showed him pictures of her commencement ceremony. He asked her if it was awkward not having any family at the ceremony; you could always trust Michael to dig to the quick when he thought he saw a wound. Smiling, she told him about the group of strangers who stood cheering and whistling for her, and how it had made her day. She mused that it was probably an alumni group that found out which students didn’t have any reserved seats for family. It seemed like something nice to do for graduates, and she had appreciated it. That was also the first time she’d gone into Jackson’s bar, which was another really great memory, and a good portion of the reason it was her favorite hangout. Lifting her head, she listened and recognized the sound that was getting louder; Mason’s bike was headed down the street. It was still too chilly to ride much, but he got it out every day that offered sunshine. Laying her head back down, she looked up at the stars she could see through the early leaves of the trees. Work was good; they’d signed a couple of new clients, and she thought things might get busy enough to hire another developer. She and Jess could do lots, but each project deserved a certain level of focus that they were having difficulty providing anymore. She knew it was only a matter of time before there was too much work for the two of them. Taking note first of the throaty, rumbling roar of the bike, and then the quiet as it was shut off, she closed her eyes, listening to see if Mason would come over and sit by the fire. It had become a kind of comfortable ritual; if she was already outside when he got home, he’d first grab a beer from his garage and come sit with her—no pressure to talk, just sharing space—but talking was okay, if they wanted to and had something to share from their day. There. She heard his even stride coming towards her, confident and surefooted, even in the deep dusk fading to darkness. “Hey there, neighbor,” she offered, tilting her head to look up at him. Sighing, Mica said, “Best part of my day is right here—sitting right here, right now.” When she heard the intake of breath, she realized he might think she was talking about him. Smiling again, she thought to herself, Let him, because it wasn’t entirely wrong.